WhatsApp has increased the group limit. The company has made the changes via server side. The company has increased the group limit from 100 to 256. WhatsApp Group limit has been increased by 2.56 times than current limit. WhatsApp has made the changes on both iOS and Android devices. There is no special update for increasing the group limit. The company has made the changes from their end. As you can see in the image above, you can now add upto 256 people in the group. This is good as the Whatsapp Group limit was not changed since 2014. Earlier the Group limit was 50 then it was increased to 100 in 2014 and now in 2016 the limit has been increased to 256. 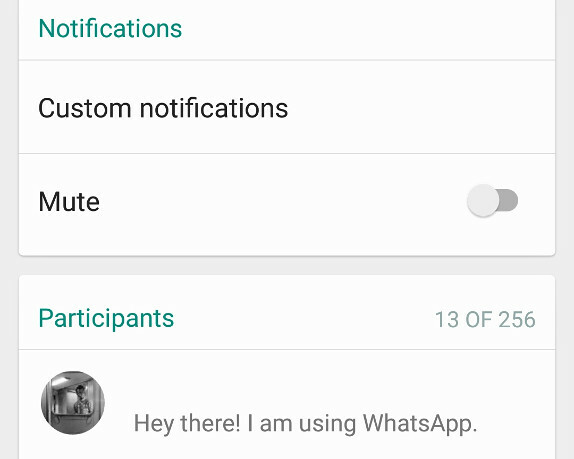 If you are not seeing the change in the WhatsApp Group limit then you need to update the client from the App Store or Play Store. It might take some time to reach all users. Earlier WhatsApp had removed the yearly subscription fees and made the instant messaging service completely free. WhatsApp is also in the process of adding Video calling service. Recently the company claimed to have more than one Billion users.